How to build a great business by learning from others' mistakes. Have you always wanted to run a successful business, have an endless supply of customers waiting at your door and enjoy yourself at the same time? But it hasn't worked out quite like that? Ailsa will show you the formula to be like the best businesses out there and experience the true joy of being a successful business owner. In this book Ailsa Page reveals her simple system that can turn your business from good to great. 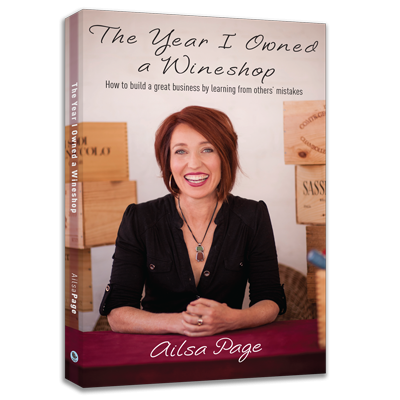 Ailsa share the biggest business learnings she gained during one of the most transformative years of her life - the year she owned a wine shop with her sister. And step by step you learn how you can do what you love, in a great business, with a steady stream of fantastic customers. For 20 years Ailsa has worked with businesss owners around Australia helping them have that for themselves. Now you can have it too.